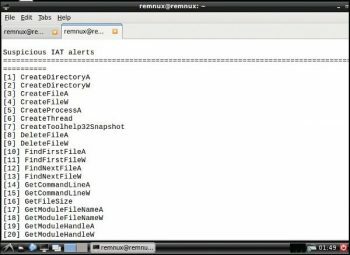 This article explores malware analysis using the open source tool REMnux. 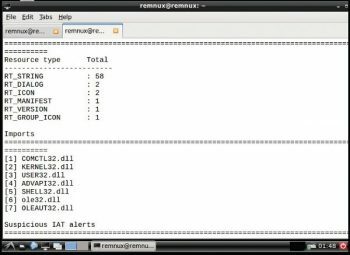 It begins with the basics of malware, how it functions, the steps to building a malware analysis kit and then moves on to a detailed tutorial on REMnux. In laymens terms, malware is defined as any code that performs hazardous activity to the computer. It might be an executable with unknown functionality. It is target-specific: Todays zero day exploits are very specific to a target and are hard to identify using traditional security solutions. Data exfiltration: Data leakage/data extrusion is unauthorised transfer, copying or retrieval of data from a computer or server. A RAT is malicious software that hides itself and gives full control to the attacker, remotely. Generally, a RAT gives access to the system, whereby the attacker can perform such remote activities as triggering the camera, installing rootkits and key loggers, and even grab screenshots or turn a system on/off. Generally, malware hides itself and runs in the background monitoring all the processes, while communicating with the command and control server outside the network. The behaviour of malware is target-specific and influenced by the following four major characteristics. Initial infection vector: Initial infection vector is defined as how the malware reaches the system in the first place delivery can be through a USB stick, browser based downloads, any shared pools, etc. Rubric: The actions the malware carries out after infection and the footprint it leaves in the log are studied via dynamic malware analysis, but zero day exploits can be unique in nature and remain undetected. Proliferation mechanism: Generally, propagation of such malicious software depends upon what type it isif it is a worm, it exploits a known vulnerability. If it is a rootkit, it infects files at the root of the drives and adds autorun.ini. If it is a Trojan, it hides itself or binds itself to any dll in system 32 and adds to the startup process. Hence, learning the propagation mechanism of a given type of malware is very important during analysis. Persistence mechanism: Malware is highly persistent and there are n number of ways to infect Windows based machines. 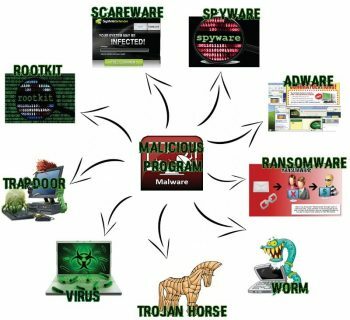 Identifying highly persistent malware is a lot tougher than the traditional malware. Malware can possess two or more functionalities with equal threat and persistent levels, and such malware is identified as hybrid. The three steps needed to build an analysis toolkit are described below. Create and allocate a safe environment for analysis: The conventional way of examining malicious programs involves infecting a system with the malware and learning about its behaviour using appropriate monitoring tools. This requires a sandbox or virtual machine (VM) in order to investigate the behaviour without affecting the real production bed. Sandbox the system from the production environment: Running multiple VMs inside the sandbox helps to analyse the malware which seeks replication or interaction with other systems. Another useful feature of a VM is that an instant snapshot of the system can be recorded along with the system states (before and after infection of the system). In sandboxing, you can install as much RAM and memory, because some intelligent malware can detect its running state inside the VM. Install a behaviour analysis tool: Before testing the malware in the sandbox, it is preferable to install appropriate monitoring tools, some of which are discussed in this article. 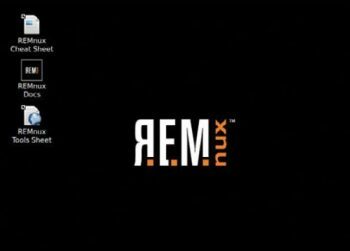 This article is primarily about the REMnux distro. 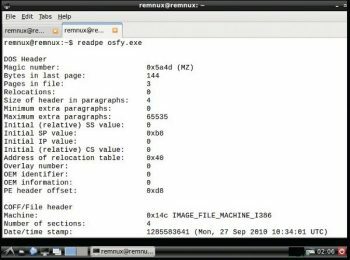 This is a free Linux toolkit used for reverse engineering malicious software. It is bundled with various forensic investigation tools. 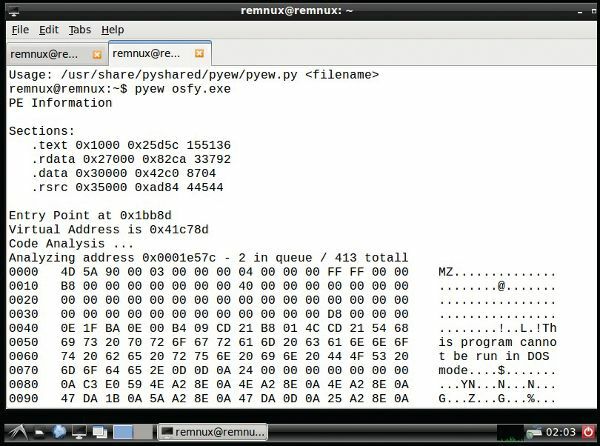 The distro is based on Ubuntu, and it analyses both Linux and Windows based malware, examining obfuscated code, suspicious documents, etc. 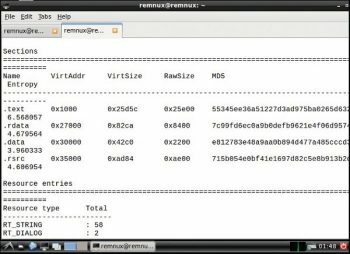 It can be freely downloaded from https://remnux.org/ as an OVA file, which can be imported directly into any virtual machine. A Docker image is also available for this distro in the same link. 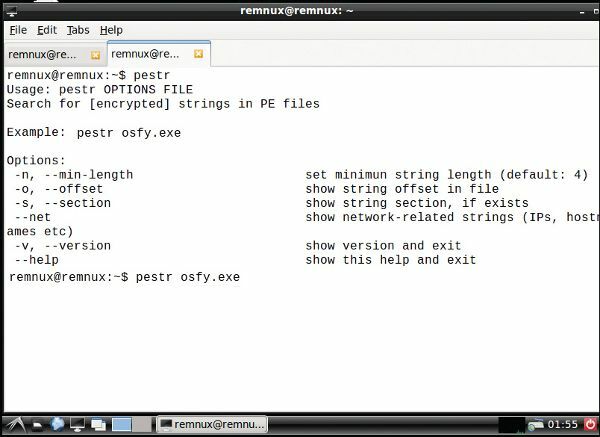 Lets now go through a tutorial on inspecting executables and file properties using REMnux.